With the MB10 cymbal series, Meinl ensures for fresh sounds that are especially well suited for popular music styles in rock and metal. The MB10 cymbals are crafted with B10 Bronze, an alloy that can boast a powerful address with warm harmonies and well balanced frequencies. The MB10 cymbals are not pressed into shape, but instead are shaped using high-precision, computer guided hammering. The result is an absolutely precisely crafted cymbal with exceptional sound characteristics. Due to the hammered shaping, the MB10 cymbals are very dense, which is not only evident in the sound, but also improves the longevity of the MB10 cymbal series. The resulting sound is unmatched, extremely powerful and aggressive. 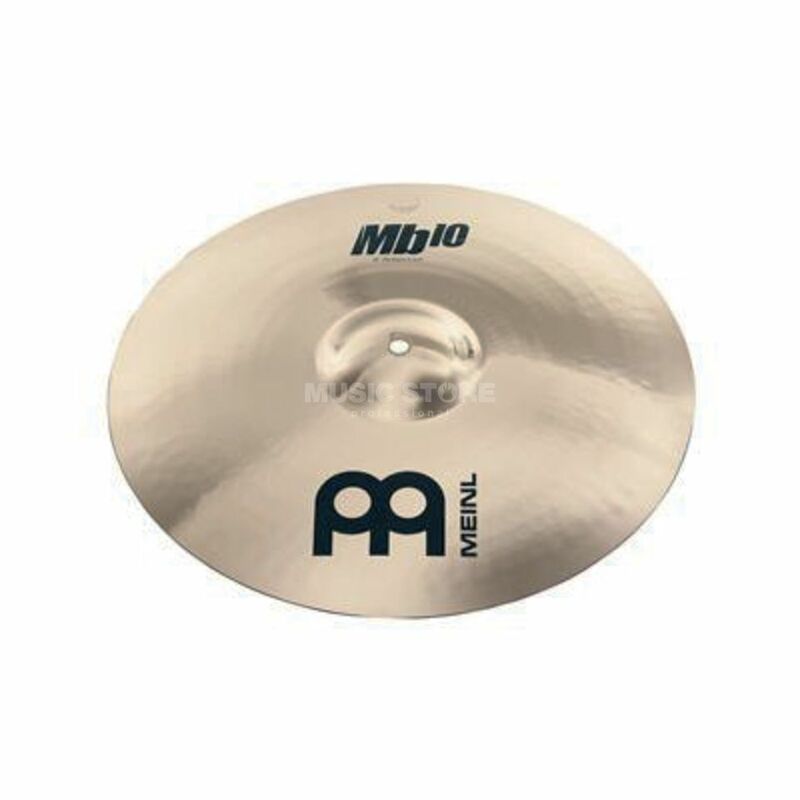 The unique, shimmering surface of the MB10 cymbals features an elaborate, tightly rotating pattern. The bright, assertive sound oft he MB10 cymbal features a very developed over-tone portion, which gives the cymbals this assertiveness. For this reason, the MB10 cymbals are very comfortable with aggressive and loud styles.